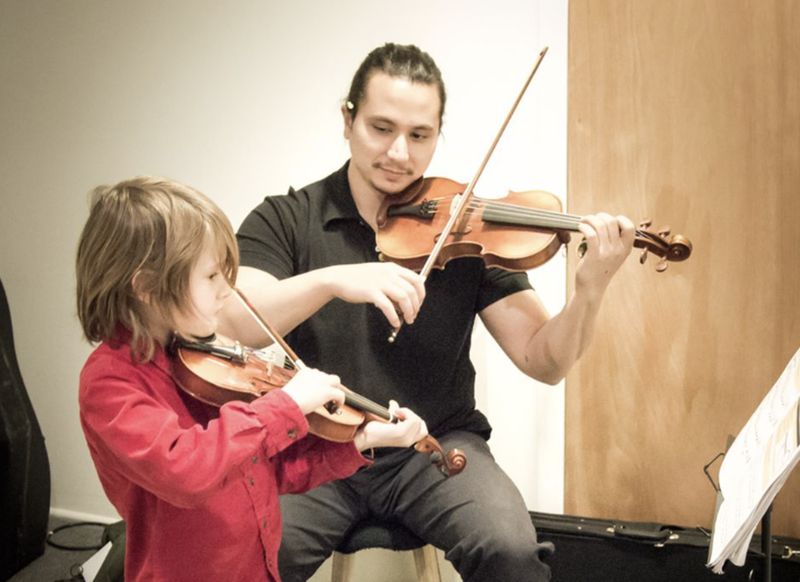 Students at The Music Space receive personalized instruction from the best, most enthusiastic teachers in the area. All of our teachers are not only excellent players, but are also active musicians, performing regularly in bands and orchestras all around Baltimore. Private music lessons at The Music Space, occur on a weekly basis and the student and teacher meet at the same designated time each week. Lessons cost $33.50 per 30 minutes or $67 per hour and the first three lessons can be paid for on a per-lesson basis. This 'trial period' ensures that the student and teacher are a great fit for each other before the student comes on board with our Studio Policy. For convenience, our policy incorporates a monthly autopay by credit card at the rate of $145. This covers all the lessons each month regardless of whether 4 or 5 lessons fall in the month. Though most students prefer 30-minute lessons, 45-minute and 60-minute lessons are also offered. We also offer group and band classes as well. Feel free to get in touch using the contact page or follow through the form below to schedule your first lesson.